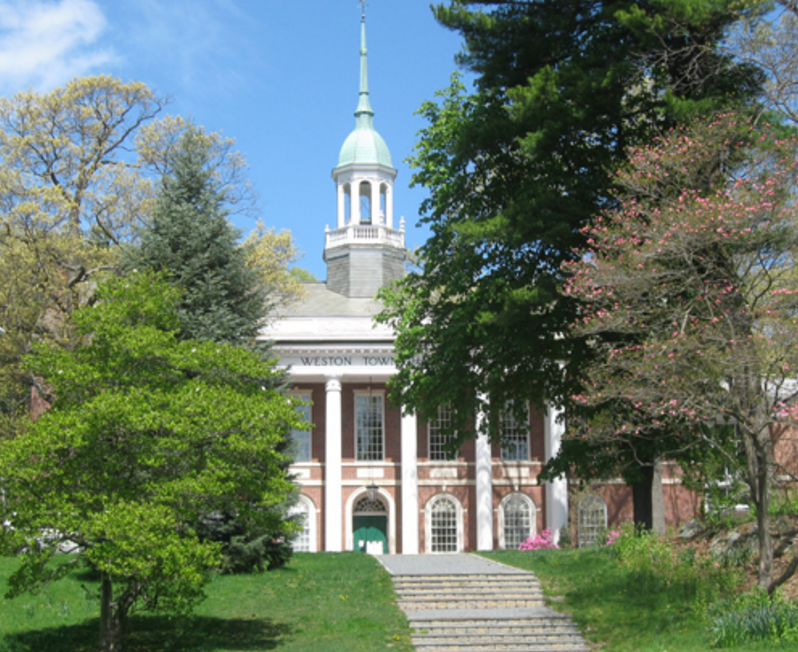 The highly desirable and picturesque town of Weston is perhaps best known for its public school system, which has traditionally ranked at or near the top among the states public schools for decades. The town has a very rural/country feel with it’s scenic roads and it’s extensive network of trails & conservation land. The Weston Town Forest is great for hiking, horseback riding, cross country skiing and other recreational activities. Additionally, the Weston Reservoir is extremely popular among walkers and dog owners who appreciate the 2.5 miles of scenic water views. In total, within the towns 17 square miles there are more than 1200 acres of recreation and conservation land. At the Leo J Martin Course there is a 15km cross-country lighted ski trail with snow-making for night skiing in the winter. The town center itself is very small and comprised of mostly boutique type shops and a few restaurants. For grocery and larger shopping, movies, and malls you usually cross over to other nearby towns. Many of the residents like the hometown family-oriented feel of Weston. Looking at Weston Real Estate you will typically find more land, and the neighborhoods more spread out compared to towns like Wellesley, Newton and Needham. For housing in Weston you’ll find a well balanced mix ranging from 19th century estates to attractive newly constructed homes. The town operates using a centralized school system to which all students are bused. There are five Weston public schools from the Kindergarten level through High School; Two elementary schools (Country and Woodland k-3), The upper elementary Field School for 4th & 5th, and a Middle School & High School. Also located within the town is the Rivers School, a private day school for grades 6-12 and Regis College. Many professionals choose Weston for it’s convenient location to Boston and it’s easy access to all major routes. 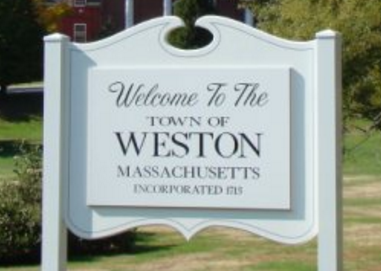 Weston is in fact, the wealthiest suburb in the Boston area- with the highest per capita income in Massachusetts, and 2012 Money Magazine listed it at #63 in it’s Best 100 Places to live.